Planning a getaway can be stressful. Where to go and what to do are pretty daunting questions that stump even the most seasoned traveler. Good thing we have compiled a list of the top 20 things to see and do to make your time in the Chicago Southland worthwhile. 1. Sit in Section 8 of SeatGeek Stadium and cheer non-stop for a Chicago Fire Soccer Club victory. 2. Have fun with your family at the Children’s Museum in Oak Lawn and KidsWork Children’s Museum in Frankfort. 3. Why wait for the Kentucky Derby to get your thrills with horses? Take in a show jumping and hunting show at HITS Balmoral Park, the premier Midwestern equestrian show jumping facility. 4. 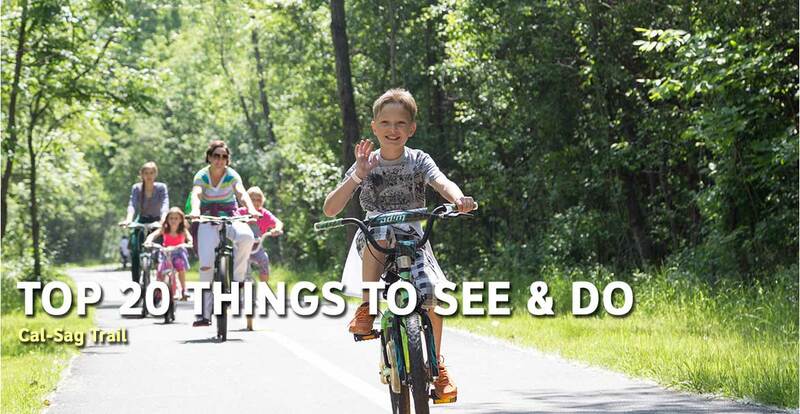 Take a bike ride down the recently completed western portion of the Cal-Sag Trail. Spanning 13 miles and three municipalities, the trail gives a unique perspective of the Chicago Southland that is not accessible by car or train. 5. Attend any of our over 800 Festivals & Events in the Chicago Southland. Seasonal favorites include the Chicago Gaelic Park Irish Fest in May, Downtown Tinley Block Party in July and the Lansing Autumn Fest in October. 6. With the popularity of craft beer and distilleries on the rise, it’s time to grab a drink in the Chicago Southland. Offering many breweries and distilleries, you won’t have to travel far to quench your thirst! 7. Visit Pullman National Monument to get an up close look at a place that played a pivotal role in history. Walk along the maroon row houses on the way to Hotel Florence, stop and marvel at the Pullman Factory Complex and discover the faces and places that make Pullman National Monument beloved by all. 8. See over 29 sculptures at Nathan Manilow Sculpture Park including the infamous Paul Bunyan statue. 9. 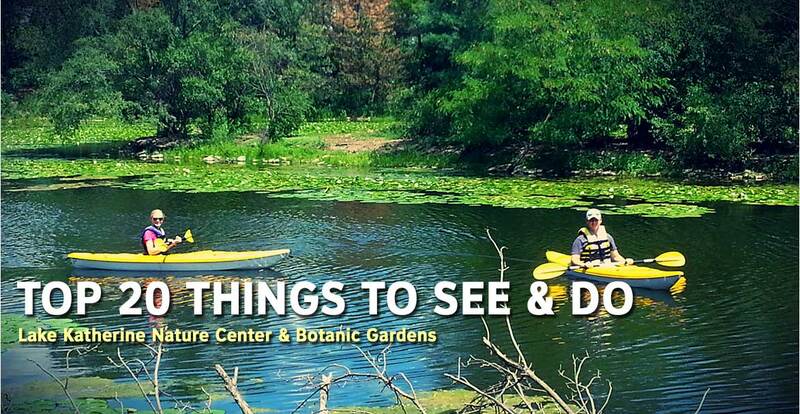 Canoe at the always gorgeous Lake Katherine Nature Center & Botanic Gardens in Palos Heights and take in an intrinsic beauty unlike any other. 10. The Chicago Southland offers a unique perspective for Railfans. We have double diamonds and one of the only places to see a double wye junction in the country, just minutes away from each other. 11. Disconnect from your everyday life and reconnect with over 40,000 acres of forestry in the Chicago Southland. 12. Dine at any of our wonderful restaurants. 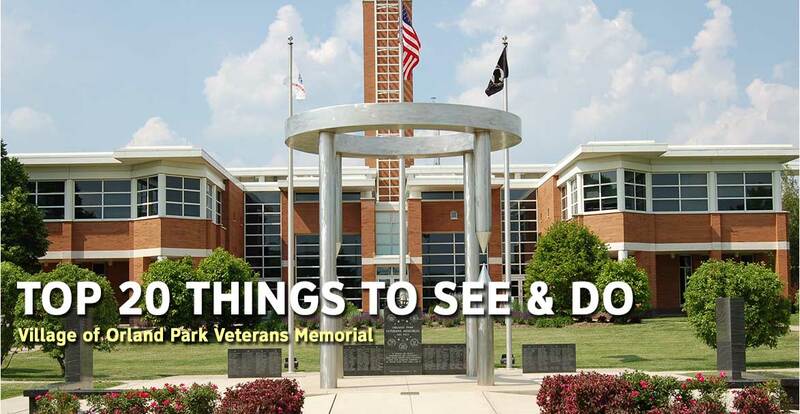 Whether you are looking for a romantic evening, family fun, train theme or anything else, the Chicago Southland runs the gamut of variety and taste. 13. Drive the historic Dixie Highway through 12 of our communities and get a sense of a time that has passed. 14. Shop in our six historic downtown districts of Crete, Homewood, Frankfort, Tinley Park, Orland Park and Blue Island. 15. Explore any of our community farmers markets. Whether you want to shop local and get fresh produce or looking for a family-friendly atmosphere, farmers markets in the Chicago Southland have it all. 16. Take a swing at over 600 holes of golf in the Chicago Southland. As the unofficial “Summer Golf Capitol of Illinois” and boasting over 34 courses, the Chicago Southland has the right course for all levels of play. 17. Stop off in Home Sweet Homewood and view the largest collection of Richard Haas Murals that depict a time long forgotten. 18. Be sure to salute our troops and remember the tremendous sacrifice these brave men and women have made at the many Chicago Southland Veterans Memorials. 19. Nowadays it’s cool to be first. What better way to celebrate than exploring the first road to cross America with the Historic Lincoln Highway? Crossing nine communities through the Chicago Southland, the Historic Lincoln Highway celebrates its heritage with murals depicting the history of the route. 20. Visit the Abraham Lincoln Exhibit at the Chicago Southland Lincoln Oasis in South Holland. This exhibit showcases the life and times of the 16th President of the United States of America. See the important artifacts and mementos that shaped our beloved former President.